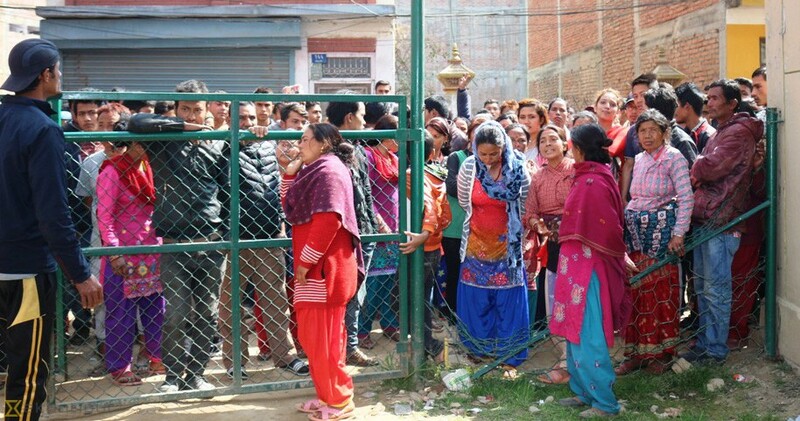 Banepa-Gyankunj Shikshik Prathisthan became tense on Monday following mysterious death of a school student. Parents and relatives of Krishna Ram Purkuti, 17, a 10th grader at the school, took to vandalism at the school blaming the school negligence for his death. Police had to fire seven rounds of bullets to take the situation under control after the agitating relatives barged into the school premises and started to vandalise the school property. A few protesters were injured in the police action, it is learnt. Purkuti, who used to stay in the school hostel, was taken to Banepa Hospital by his roommates after he complained of feeling unwell at around 5:30 in the morning. Later he was transferred to Scheer Memorial Hospital where he breathed his last. Purkuti’s father Krishna Ram alleged that his son died because of the school administration's negligence. "We were informed about the death only at the time of postmortem i.e. at 7:30 am while the incident took place at 5:30 am," said the grieving father, "We could have saved our son in these two hours." He said it was a grave mistake on the part of school administration to not inform the parents of their son's illness. He demanded action against the ignorant administration that had no clue of the incident till his son was being ferried to a hospital by his fellow mates. Meanwhile, police impounded deceased Purkuti's seven roommates and lodged their statements. The grieving parents have suspected the school's involvement behind this mysterious death as they have alleged that the school had mended Purkuti's bed before the investigation. District Police Chief SP Sahakul Bahadur Thapa said the cause of the death would be known only after the autopsy report.